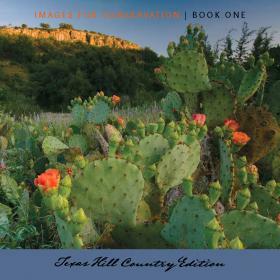 Featuring nearly 200 full-color images of the Texas Hill Country as seen through the eyes and lenses of 17 top wildlife photographers from throughout Europe, Mexico, Canada and the U.S, the first book in the Images for Conservation Pro-Tour series delivers one telling image after another. 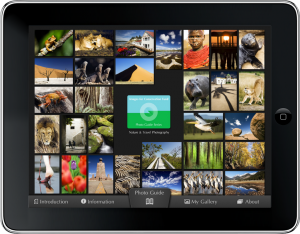 This rich collection of photographs, taken during the first-ever Pro-Tour contest, is guaranteed to generate enthusiasm from nature, art, or photography lovers on your list. Liz Carpenter, former press secretary and chief-of-staff to Lady Bird Johnson, writes the book’s dedication in honor of the beloved First Lady and in tribute to her conservation-minded legacy. After years of working together, Carpenter and Lady Bird developed a warm and enduring friendship, which shines clearly through in Carpenter’s heartfelt dedication. Journey with 20 world-class wildlife photographers through the woodlands, wetlands, and prairies of the Texas Coastal Bend as their cameras capture this region’s diverse beauty. Pros from throughout North America and Europe spend 30 intense days creating breathtaking images as they compete in the 2nd bi-annual Pro-Tour photo contest. The 300 or so full-color photographs in this second volume of the Images for Conservation Pro-Tour series give even common critters new perspective. That’s no surprise considering the varying cultures and techniques these sharp-eyed photographers – with client lists including BBC and National Geographic – bring to the table. Baseball Hall of Fame pitcher and Texas rancher, Nolan Ryan, provides a moving introduction about the wild imagery of Texas, perfectly setting the tone for Images for Conservation: Book Two – The Coastal Bend, Texas Edition. Carter P. Smith, Executive Director of Texas Parks & Wildlife Department, writes a stirring forward paying tribute to good stewardship, while Images for Conservation founder, John F. Martin, reminds us that nature photography is a win-win situation for both landowners and wildlife. This colorful volume also includes short biographies of each photographer and a brief history of the ranch upon which he/she photographed. 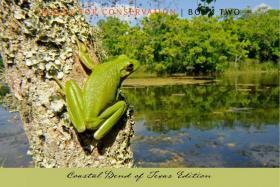 Images for Conservation Book Two-The Coastal Bend Edition showcases the prize-winning wildlife and landscape photography from the second Pro-Tour of nature Photography. 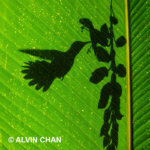 The images in this book were selected by a panel of internationally recognized judges as a representation of the prize-worthy photography produced by the 20 teams that participated in the 2008 Pro-tour. Order your book today! The book is the perfect gift for business clients, employees and associates, friends, loved ones or anyone you want to impress. Think Christmas, birthdays and all special occasions. This dazzling volume filled with nearly 300 dramatic full-color photographs brings the bounty of the borderlands to the coffee table. 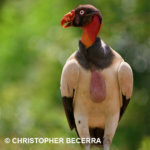 These images leave no doubt of just how much wildlife lives here, where Texas and Mexico meet – possibly more per acre than anywhere else in the United States. Visit our nation’s last frontier through the eyes of 20 wildlife photographers from the world-over as they focus their lenses on the harsh mesquite and cactus badlands just north of the international border. 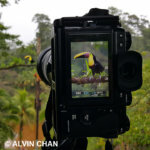 In this third volume of the Images for Conservation Pro-Tour series, these pros work their shutter fingers to the bone while competing in the 3rd bi-annual Pro-Tour of Nature Photography Contest and documenting nature’s life on the line. 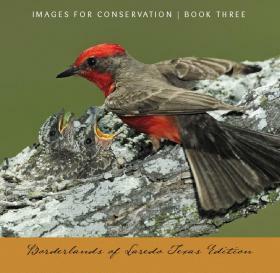 While the emphasis is definitely on the photos, Images for Conservation: Book Three – Borderlands of Laredo, Texas Edition also includes a biography of each photographer, a history of the participating ranches, a moving dedication to rancher and philanthropist Renato Ramirez written by Mary O. Parker, a motivating forward by Texas Parks and Wildlife Executive Director, Carter P. Smith, and a piece by Images for Conservation founder, John Martin, reminding us of the important role nature photography plays in helping conserve habitat.